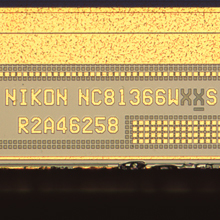 Chipworks has a new report online for the Nikon D4 and the 16.2MP FX CMOS sensor inside (NC81366W) is made by Nikon. Similar to the D3, D3s, D700 and D3100, the sensor inside the D3200 was also made by Nikon. The D7000 did use a Sony sensor. Few months ago there were some rumors that Aptina is developing a new full frame CMOS sensor for Nikon. Update: another good source for sensor manufacturers (and other sensor related data) is sensorgen.info. According to the site, the sensor inside the D800 is made by Sony (no surprise here). This entry was posted in Nikon D4 and tagged Chipworks. Bookmark the permalink. Trackbacks are closed, but you can post a comment.